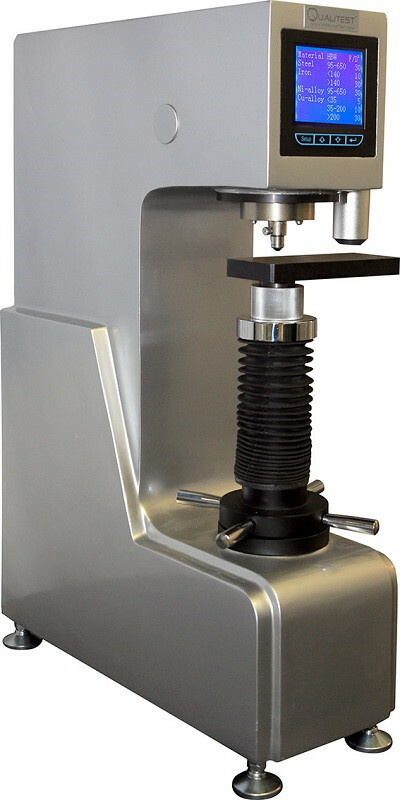 Using a carbide ball penetrator, and applying loads of up to 3,000 kgf, Brinell hardness tester following ASTM E-10 are widely used on castings and forgings. This method requires optical reading of the diameter of ball indentation, and using a chart to convert the average measurement to Brinell hardness value. We offer low cost handheld Brinell scopes as well as a popular line of Automatic Brinell Microscopes for high frequency of testing. . Qualitest also offers Automatic In-line hardness testers for high volume testing.